Some parents might not agree with the idea of taking the convertible car seat with them while traveling. The weight and size are just troublesome – an additional luggage that’s not worth the space. Do you feel the same thing? You definitely should not. The convertible car seat reviews uncover some user feedbacksthat provide informative basis on how useful and valuable it is to have the best convertible car seat for long trips. 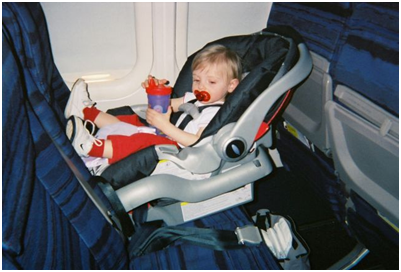 2 What is the Best Convertible Car Seat for Air Travel? 2.1 1. It is portable and reliable. 2.2 2. It ensures safety for your child wherever you go. 2.3 3. Provides great comfort for your child. 2.4 4. It brings you less worries. 2.5 5.Definitely worth the money. Everyone’s making a fuss, convincing every parent to search and buy the best convertible car seat for travel – may it be on air or land. But, what is a convertible car seat, anyway? A convertible car seat is designed to secure children, toddler and infants, while inside the vehicle. Every type is customized with harness and straps, buckles, and padded seats. They all vary in sizes and capacity and are designed for various ages of children.It enables the child to be seated inside the vehicle for a long or even a short ride with enough security and comfort. 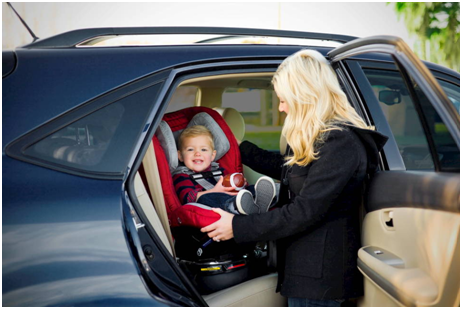 This has been one of the car essentials parents prefer to keep their children safe and comfortable wherever they go. What is the Best Convertible Car Seat for Air Travel? You may have come across different types of convertible seats on the market and even the best convertible car seat for small cars and for travelling. There are certain brands that offer car seats with excellent quality. But if you often go out of the country, what would be the best convertible car seat for airplane? You’ve got to jot down these reminders. Check first your convertible car seat if it is safe for flying. You should check if it is FAA-approved (Federal Aviation Administration). Do not use the ones that are borrowed or second-hand. Most of them have different installation procedures and outdated specifications. It is not safe. If possible, determine the airplane seats’ dimensions. In this way, you’ll know what size of convertible car seat you should buy. Keeping all these reminders in mind will help you get the best convertible car seat for air travel despite the brand or expensive price. It is, on the other hand, important to educate yourself with the proper installation of the car seats on the plane. Still not convinced how these convertible car seats are valuable for your children during long trips? Here are the reasons. 1. It is portable and reliable. When you’re all set for travelling, one of your huge concerns is how to keep the luggage as portable as possible. You need to ensure everything’s easy for storage. Especially when you travel with your children, their necessities outnumber yours. However, exceptionally-designed convertible car seats for flying are customized to be portable. 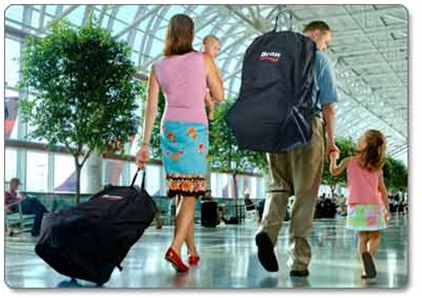 They are designed with backpack straps, carriers and sometimes, wheels so they are easy to carry. They may add a bit of weight on your luggage but it’s worth the space. 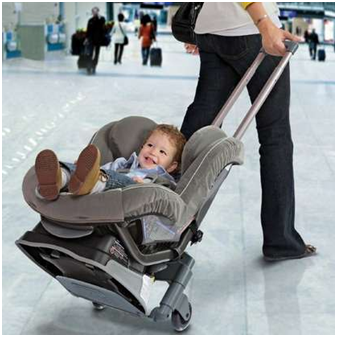 It sure is reliable when you want to keep your child comfortable during the flight. 2. It ensures safety for your child wherever you go. Don’t you feel relieved when you have your kids seated on the car seats? You will too if you bring the convertible car seat with you even on the plane. With such equipment, the risk of injuries would be minimal or reduced or even be prevented. Fatal results can be prevented.Just like what happened with young girl named Kate on the 2007 Cessna 172 car crash, she was the only survivor of that terrible accident. She was found covered in rubble and strapped on her car seat. She was saved. When you’re out for a long trip, your child’s safety is your major concern and putting up a convertible car seat for him is one of the best ways to ensure his safety. 3. Provides great comfort for your child. Letting the child sleep on the lap while on the plane or maybe just inside the vehicle might be one of the common things parents do but it’s also one of the mistakes to avoid. You may also do the same thing at times but it is not the safest way to keep him comfortable. It can be a struggle for your child and for you as well. With a convertible car seat, you can give your child the comfiest experience inside the vehicle or on the plane, the sweetest nap and a goodnight sleep. Even if he plays with his car seat toys or eats some snacks, the convertible car seat will handle him and keep him comfortable at all times. 4. It brings you less worries. It is normal for parents to worry about their child’s safety and comfort. But because, sometimes, the environment could be unpleasant and unpredictable events occur, parents get even more worried about their child’s safety. These occurrences may all be too much but with just a simple act, act of getting the best convertible car seat for toddlers will bring you less worries. It can provide comfort from the unpleasant ambiance and ensure security against any form of accidents. Different car seat manufacturers offer certain brands with of convertible car seats with impressive quality. The prices do change every time. The best convertible car seat 2016 can be at the most expensive price and the other ones might be quite affordable. The prices may change but the quality and reliability stay the same. You may adjust your budget and invest some with these car seats and you won’t regret. It is worth it.